The USMC Retro T-Shirt is a two sided print in military green. 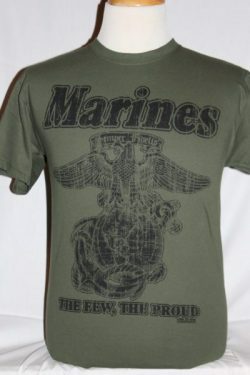 Front Design: US Marines Globe & Anchor with text in black. Back Design: Small US Marines Globe & Anchor on upper back.